Carol's daughter, Krista Kuhn, reports that Carol passed away July 18, 2017, as the result of a heart attack. 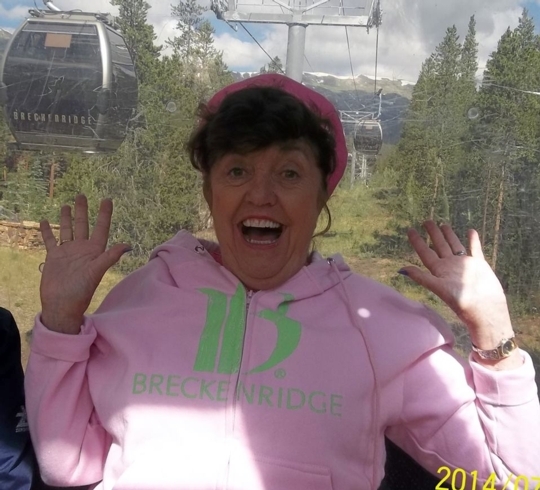 A service for Carol is planned for August 1 at 10:00 a.m. at the Loveland (Colorado) Foundations Church. If an obituary is located, that information will be put on this page. 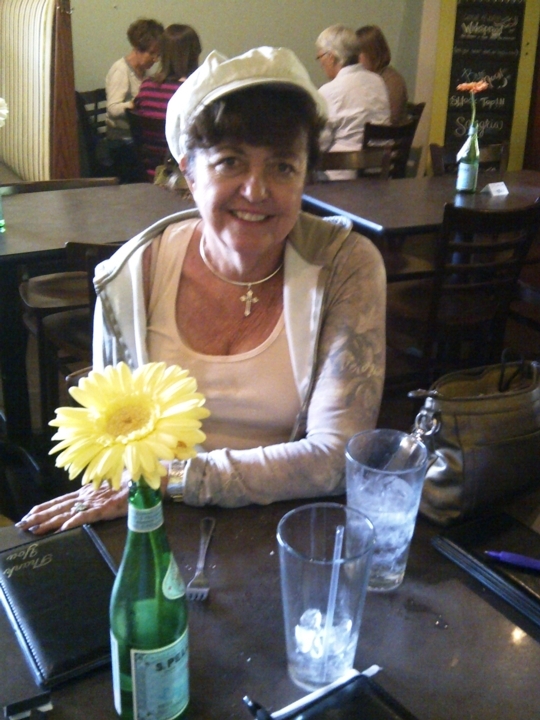 This is a picture of Carol that Gay Thompson took during the weekend of our 50th Class Reunion. I also knew Carol since Logan and always thought she was a very nice person. Thinking of her family and friends at this sad time. I remember Carol from Logan School and First Congo. Church. We spent time together in her bedroom which was like a private apartment in the upstairs of the house. She played the piano beautifully! She had a March birthday and I recall playing birthday party games in her basement, especially drop the closepin in the bottle. Who can remember that game? I knew Carol since childhood at sunday school. Then at Coolidge and MHS. She was always a ray of sunshine. I'm so sorry to hear of Carols death. I went to school with her at Logan, Coolidge and Moline High school. She was always so friendly to me. Krista, sorry to hear of your mom passing away. I went to school with Carol and she was always happy and full of life. she lived a few blocks from one of my best friends, so I stopped by and talked to her out in front yard 100's of times on the way to and from his house. You have my sympathy. So sorry to hear of Carol's passing! Praying for her family & friends! I went all the way through Logan with Carol. We shared the same birthday. I remember having joint birthday parties. I have always thought of her on March 19th. I am sure she will be missed by her family and friends. I too was at Logan with Carol and all the way through Moline High School, she always had a smile for everyone. Carol will be missed by all. Every time we lose another classmate, it seems like a little piece of our hearts are torn out and will not be made whole again until we meet again in heaven. I am remembering Carol Wendell from many years ago when we sang in the First Congregational Church choirs together, from MHS days and even the U of Illinois where we both attended in the 60's. But it has been in the last 10 years that I have been re-acquainted with Carol at the girls mini-reunions in various parts of the country and again I was reminded of what a fun loving and kind person Carol was. She always had a big smile for everyone and seemed to see the humor in situations before the rest of us did. She was not afraid to let you know that she loved Jesus, so I am comforted with the knowledge that even though I won't see her again earth side, she will be there to greet us when we cross to the other side. Carol and I met while attending Coolidge Jr. High. We became fast friends due to her fun filled and loving personality.. As a matter of fact, I trust she was probably friends with MOST of us @ Collidge and well into our years @ MHS, she was just that type of person who liked everyone and everyone liked her. Don't ever remember her saying a gossipy or unkind word regarding anyone!!! I remember hanging out @ her house countless times in her upstairs "apartment", with the knotty pine walls. We would usually be eating, dancing, singing and simply being silly teenage girls. What an infectious laugh she had. And than smile....oh my...that beautiful smile. I am comforted knowing she carried God's light into adulthood and openly expressed her love for Jesus. This makes it easier for me to handle her leaving this earth, knowing I will surely see her again in Heaven. RIP Carol, you were a bright light here on earth and you will ALWAYS have a special piece of my heart.